Pregnancy and new motherhood feature a rollercoaster of emotions. The highs are sky high, while the lows can feel disappointing at best and life-threatening at worst. After delivery, the majority of women experience some form of the "baby blues," feelings of sadness, weepiness, and rapidly changing emotions that result from the abrupt shift in hormones following birth. The baby blues typically begin a few days after delivery, last for two to three weeks, and go away without treatment. 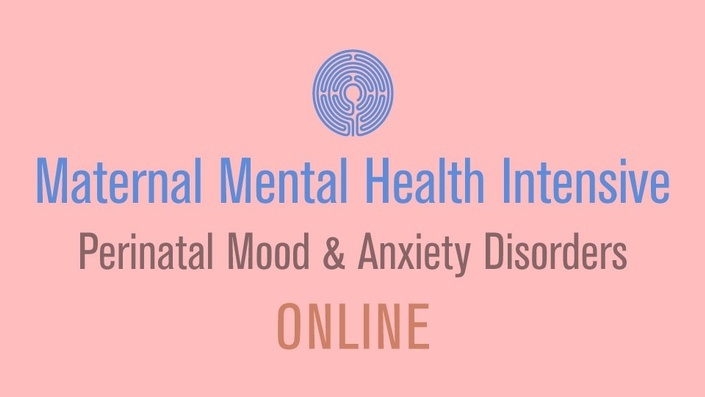 But up to 20 percent of women develop a perinatal mood or anxiety disorder (PMAD), such as anxiety, depression, obsessive-compulsive disorder or (rarely) psychosis. Those statistics climb when you factor in race: African American women have a much higher risk of developing perinatal depression compared to white women. (Latina women also have a higher risk.) Research from the Icahn School of Medicine at Mount Sinai found that 44 percent of African Americans reported depressive symptoms two weeks after delivery, compared to 31 percent percent of white women. Although there's not a lot of research on why the incidence of PMADs is higher in African American women, some experts, including Catherine Monk, MD, director of research at the Women's Program in the department of psychiatry at Columbia University Medical Center and a member of Seleni’s advisory board, believe that one reason is because a larger proportion of African American women are in low-socioeconomic strata. And the factors associated with this (lack of finances for adequate childcare, not enough social support, limited access to good medical care, and single parenthood) all increase stress, which is a proven contributor to developing a PMAD. Also, certain risk factors for PMADs that disproportionately affect African Americans, including domestic violence and childhood trauma, aren't widely known, so women who have experienced these traumas often don't realize that they are especially vulnerable to PMADs. "I didn't know that being exposed to violence as a child and having [post-traumatic stress disorder] could raise my risk for a PMAD," says A'Driane Nieves, 33, a former military police officer and mother of three, who grew up in an abusive household. "And there's not a lot of talk about how what we are experiencing physically can be mental in origin," says Nieves who did not realize that some of her symptoms – fatigue, a racing heart, sweating – were actually signs of a perinatal mood disorder. Research actually shows that African American women suffering from PMADs are more likely to describe their symptoms in physical terms instead of emotional ones. "African American women will report more with symptoms such as fatigue, stomach pain, and headache compared to Caucasians," says Lucy Puryear, MD, medical director of The Women's Place: Center for Reproductive Psychiatry, who oversees a pilot program in Houston clinics that aims to increase screening and access for women in low-SES communities. A big part of the reason that many women – and those of color in particular – aren't getting help is because they aren't all screened for PMADs. The US Preventive Services Task Force recently recommended that all pregnant women be screened as well as those who just gave birth, but it will take time for that recommendation to change clinical practice. "Enormous amounts of women are still not being screened," says Puryear. The value of a screening (usually in the form of a verbal or written questionnaire) is that it not only tells the healthcare provider whether a woman is at risk for a PMAD, but it also educates the woman about which symptoms to be aware of. It also gives women permission to talk about symptoms that they might not otherwise bring up, whether out of shame or lack of awareness. A screening may not catch all cases of PMADs, especially if a woman is just handed a pamphlet to fill out on her own without receiving follow-up care from a healthcare professional who can discuss the results and refer her for treatment if necessary. And even if a woman does have a positive screen (meaning her score and symptoms indicate she may have a PMAD), she must still be diagnosed and treated, which presents another set of challenges. African American women not only face a higher chance of developing PMAD than white women, but they are also less likely to receive treatment. A 2011 study from the Harvard Medical School and Harvard Pilgrim Health Care Institute found that just less than half as many low-SES African American received counseling or medication in the six months after giving birth compared to white women in a low SES. The African American women also had lower rates of follow-up and continued care. Experts say significant cultural and societal factors may be keeping African American women from seeking and getting help they need. Though there is a general stigma around mental illness in the United States, experts such as Dr. Puryear say it is even stronger in African American communities. A 2014 University of Houston study of low-income, African American new mothers found that many participants cited a community belief that "strong mothers" don't develop postpartum depression, and that admitting you felt depressed was risking being viewed as an unfit mother. "There is often a disconnect between what the community is telling minority women they need and what the medical system is telling them they need," says Sandraluz Lara-Cinisomo, PhD, assistant professor at the University of Illinois at Urbana-Champaign and a researcher who has studied PMADs in minority populations. This confusion can be paralyzing and isolating, leading women to go it alone at a time when they most need support. It certainly was that way for Nieves, who struggled for more than a year before seeking treatment, in part because she felt pulled between her church community and her doctors. Even her doctors weren't on the same page, adding to a sense of distrust. "My ob-gyn gave me a prescription for Zoloft and told me to follow up with my primary care doctor, but my primary just thought I was tired because my baby had reflux and I wasn't sleeping. So I figured, 'OK, I guess I just need to bootstrap my way through this.' I felt like I wasn't being a good enough mom and that it was somehow my fault." It wasn't until she was on the verge of collapse and experiencing suicidal thoughts that she visited a nearby VA hospital. There she finally received the right diagnosis of bipolar disorder and started a medication that drastically eased her symptoms. "It was like all the pieces of the puzzle fit, and I realized, 'I'm not crazy!'" says Nieves. “There's a strong fear among minorities that a mental illness diagnosis will result in the loss of their children,” says Lara-Cinisomo. Indeed, when Nieves called a mental health warmline for help in 2011, she was petrified they would tell her Medicaid caseworker and that child protective services would show up at her door. "It took my partner reassuring me I was a good mother and that it was okay for me to call," says Nieves. "In my experience, some women of color, especially if they're on public assistance, won't divulge to their caseworker that they are having mental health issues. They're worried about keeping their kids." Nieves, who has a a Facebook group called Tessera Collective to support women of color facing mental health challenges, also faults the public health sector for not being more inclusive. "Maternal mental health has a very white face," says Nieves. "The whole medication and therapy thing is seen as a white woman's [treatment], as a privilege and luxury that black women can't afford." She believes education around maternal physical health has become more diverse, but that mental health is lagging. "Doctors need to know that it helps to have things like diverse literature in their waiting room. If a woman of color sees someone who looks like her on a pamphlet, that makes a huge difference. It tells her it's not just something that impacts white women." Women of color also need to see other women of color who are therapists and doctors says Stephanie Chapman, PhD, a psychologist who works in one of the low-SES clinics in the Houston pilot program directed by Puryear. "We know from the literature that when the services provided fit with the population being served – culturally and ethnically – there's a higher chance they'll start and stay with treatment. So we try to hire ethnically and racially diverse therapists." Additionally, clinic staff members don't just refer a woman to a therapist and expect her to make an appointment at a later date. They walk the woman over to the therapist's office and introduce her to the mental health care practitioner. "This way, there's more of a trust factor," says Chapman. She also involves her patients in their treatment decisions, empowering them to come up with solutions. Research shows that minority women are less interested in medication and more interested in therapy (possibly because of fear and stigma), so clinic therapists work with them on cognitive behavior techniques, like countering distortive thoughts. For example, if a woman believes her baby will stop breathing and can't sleep because she checks him countless times, she can learn to replace that fear with a positive thought such as, "My baby is healthy and knows how to breathe." Therapists also teach interpersonal therapy techniques, such as strategies to handle the stress of relationships and how to seek good support from friends and family. But experts say that much more needs to be done to bridge these gaps. "One of the things I'm learning is that what I thought would work for me and my neighbor doesn't work for all women. We need to pay closer attention to the differences in cultures and do a better job of giving women what they need and erasing the stigma," says Puryear. Her dream is to have a mobile van that tours communities and churches (just like a blood drive van), screening and treating women for PMADs and educating communities about how common and treatable they are. "It's a grassroots approach," she says. "If the community leaders are for it, we should go where the people are."